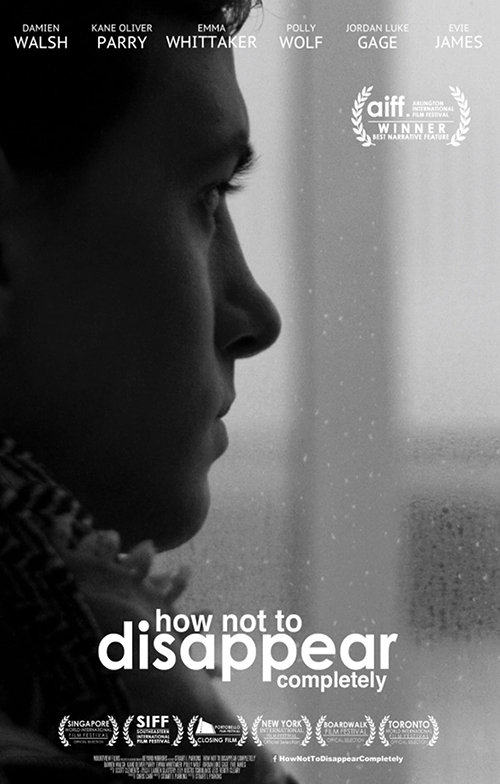 How not To Disappear Completely, O.S.T. Working with musician Kostis was very inspiring for me. His way of cooperating proves his focus is always the film and its success as a complete artwork. He is able to rethink quickly, easily and professionally in a very constructive way. All this with great passion and very creative ideas. I am impressed with his musical spectrum, his skills and his multi-faceted approach. 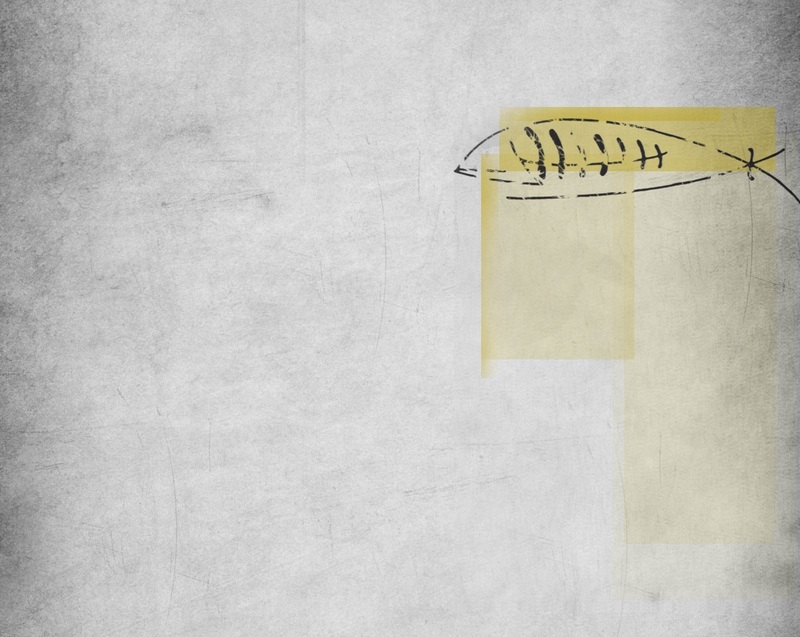 Kostis did a wonderful job in finding a way to convey in music, what I was trying to portray in moving image. Kostis produced a top quality score that perfectly encapsulated the mood of the game and fit within our specifications. He was helpful and professional throughout and I wouldn't hesitate to work with him again. Kostis is a composer of exceptional talent and sensitivity. 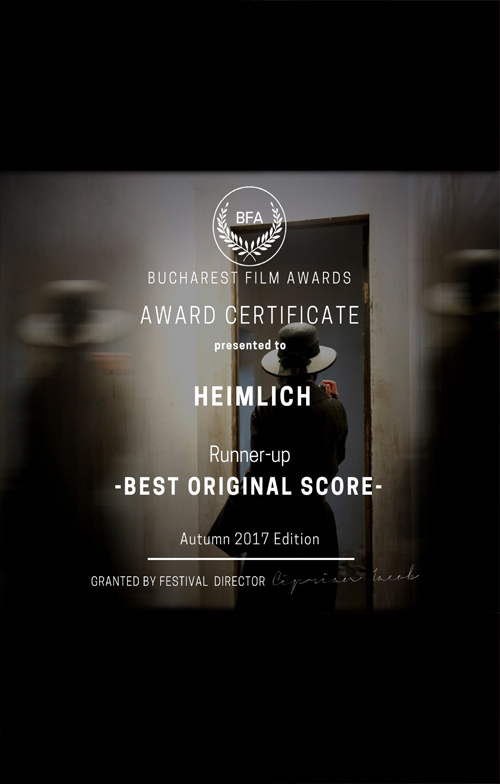 His score for our Short Film 'Linda', which was chosen for the Interfilm Berlin, had to achieve both a convincing and subtle documentary score as well as a number of heightened horror stings. Kostis perfectly achieved the very tricky balance of tone I was hoping for and it was a pleasure working with him. I would highly recommend him to anyone looking for a great composer. Kostis is a talented and highly skilled composer with a real understanding of drama and narrative. 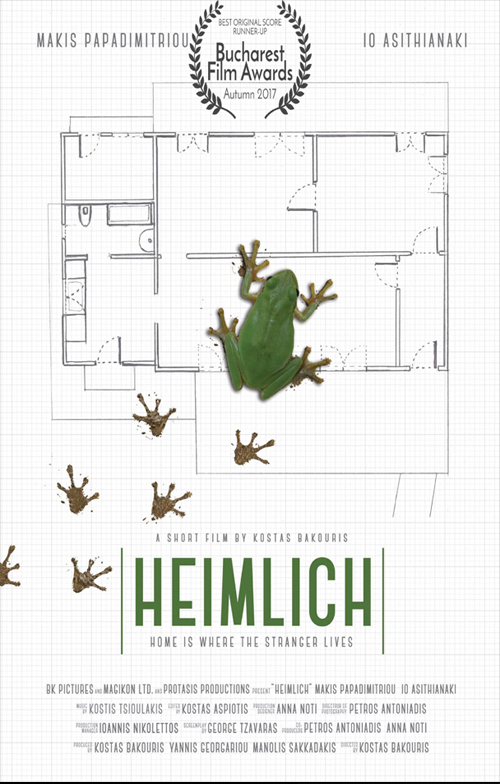 His scores compliment the actor’s performances and visual story telling perfectly. I would highly recommend him to anyone who is looking for an imaginative and insightful composer. 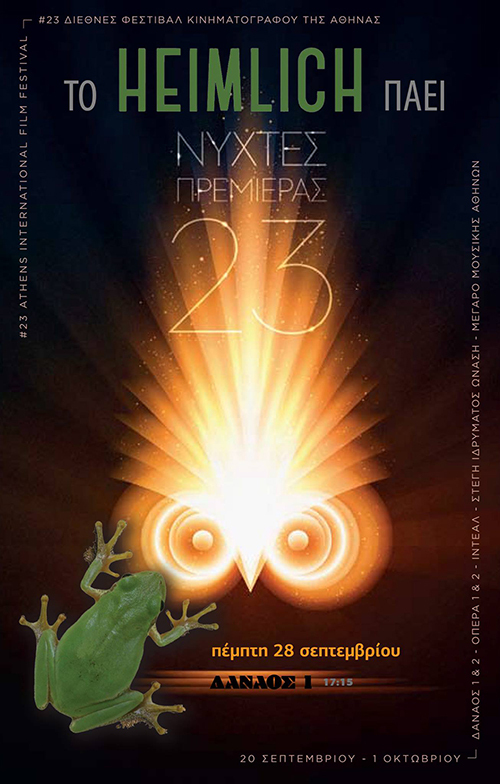 Kostis proved to be an accomplished arranger /orchestrator for my concert at Bristol’s Colston Hall featuring music from my BBC natural history series . His solo performance of my piano work Étude pour Vadim was brilliantly received by the audience. Thanks Kostis. After receiving his Classical Harmony, Fugue, and Counterpoint degrees with honours, Kostis began studying contemporary composition, supervised by the composer Stathis Oulkeroglou in Athens. He became familiar with the 12-note system, and composed several solo pieces for flute & piano. In 2009 he was offered a place in the Masters course in Film & TV composition at the University of Bristol. Under the supervision of William Goodchild and Martin Kiszko he completed his Masters with distinction, studying Film Analysis, Media Composition, Electronic/Studio Composition, Orchestration and Instrumentation, along with Advanced Acoustic Composing Techniques taught by one of the leading contemporary composers in Europe, John Pickard. After successfully completing his Master’s degree, Kostis was accepted as a PhD student in Acoustic Composition at the University of Bristol, completed in 2015 under the supervision of Neal Farwell & John Pickard. 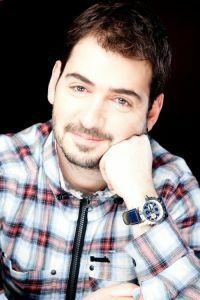 As a concert-music composer, Kostis has completed many solo and ensemble works, including String Quartets, Full Orchestral Pieces and smaller scale works. Recently he finished a new piece for chamber orchestra, under the supervision of Bruce Broughton, an established oscar nominated American film composer known from many films scores in Hollywood. Kostis became familiar with percussion instruments relatively early in his life, while listening to his father playing the drums day and night in his childhood home in Athens. He started playing drums at the age of 7 “playing along” with CDs of Beatles, Led Zeppelin, Pink Floyd, TOTO and Chris Rea. Although mainly a pianist, his early commissions as a session musician required him to perform drums and other percussion around Greece. This fact played a major role in Kostis’s compositional character, employing a variety of rhythmic and polyrhythmic elements in his concert and film music, dominated by percussive sounds and patterns. At the age of 20 he came across the Peruvian percussive instrument cajon, and after collaborating with the German flamenco guitarist Roland Hoffmann, Kostis started preforming cajon intensively in world-music groups around Greece. 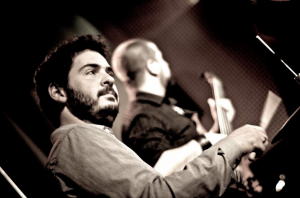 Kostis’s first appearance in discography was as a drummer and founding member of the group Mat Se Dyo Ifesis (Checkmate in Two Flats) from Athens, with whom he now counts 4 CDs and quite a few collaborations with established Greek singers and instrumentalists. As a drummer, he has performed with blues and trip-hop bands around Greece and world-ethnic bands around Europe, including the band Night on Earth. Kostis started classical piano lessons at the age of 5, under the supervision of Despina Stefanidou, an established piano teacher in Athens. He received both his Piano Degree and Piano Virtuosity Diploma with Honours. Whilst Kostis was studying classical piano, he started becoming involved with contemporary and jazz music and, at the age of 13, started jazz piano and contemporary harmony lessons with Petros Chatzigeorgiou, an established soloist, composer and musical director in Greece. As a pianist, Kostis has been regularly performing in a plethora of concert halls and festivals around Europe, including the Epidaurus Theatre accompanied by the “Athens Camerata” string orchestra, and Colston Hall, Bristol, co-performing with Bristol Ensemble and Martin Kiszko (worldwide established film composer). He has also performed as an accompanist alongside several choirs in the UK. As a composer, Kostis has scored quite a few piano solo/ensemble pieces, performed by him and other pianists. Most of his film compositions include piano pieces or piano-based themes that contribute to his personal compositional character, blended with rich orchestral and electronic sounds. 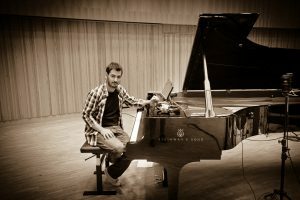 As a piano teacher, Kostis has currently over 40 private piano students, preparing for ABRSM, Trinity and Rockschool exams as well as teaching casual jazz, film and classical repertoire.